I had a chance to visit the billboard site and document some images of other artist’s works as well as my own contributions. It was a great feeling seeing my images on a digital billboard. Not to many people can say they saw something they created on display of that size, scale, magnitude, and location. By the way the billboard was right off I90 expressway; just a few miles from Ohare Airport. Check out the images I took from the site. Also, someone else also captured a different angle of my billboard and I truly appreciate that. For more information about the Art Billboard Projects, please check out the website below. The art of perspective gives a very generous amount of step by step instructions and examples on drawing and painting in perspective. I’ve read and used many books on perspective but they lacked steps and not enough examples on various subjects in perspective. The art of perspective is clear, keeps your interest, and uses so many useful approaches for landscape, houses, buildings, technical, floors, still life, 3 dimensional assignments, etc. the list goes on. 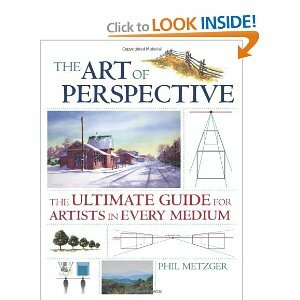 I feel this is the essentials of perspective that’s great for beginners, intermediate, and even somewhat skillful artists; as he also has a great section on painting, as well as running into perspective problems that need to bend the rules. Myself along with over 50 artists will be displaying our work on a digital Billboard in Chicago. I will be displaying in the 3rd week of the exhibit.Check details below. Monday, September 26 2011 at 12 a.m. through Sunday, October 23 at 11:59 p.m. The billboard is located at East Bound Interstate 90 just after the highway crosses over Oakton Street. You are currently browsing the Urbanrockwell's Blog blog archives for October, 2011.